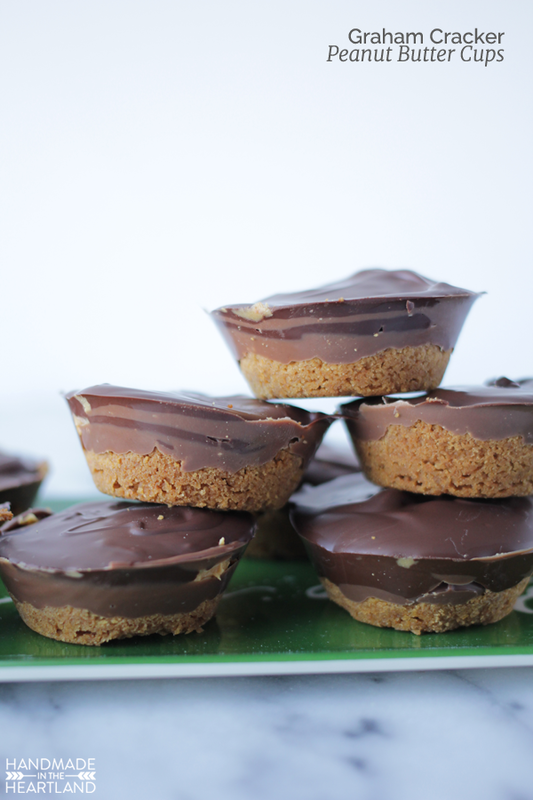 Peanut butter, graham crackers & chocolate is there a better combination? 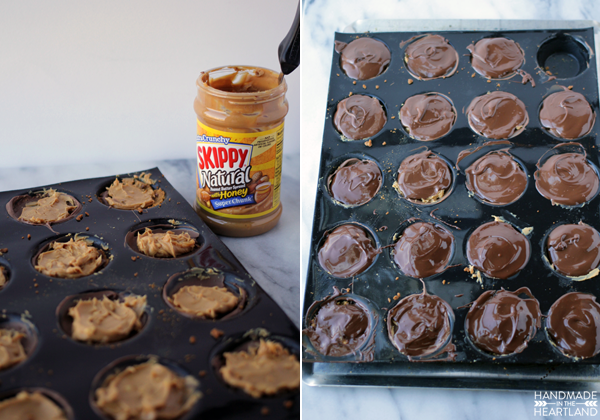 Oh man these little graham cracker peanut butter cups are perfect for holiday baking and are so simple, oh and so tasty. They are great for gifting to friends and neighbors, that is if they make it out of your kitchen before your family devours them. I used a combination of milk chocolate and dark chocolate which made the pretty swirl of color on the sides that you see in the picture above, I used crunchy skippy peanut butter in the center which was delicious. 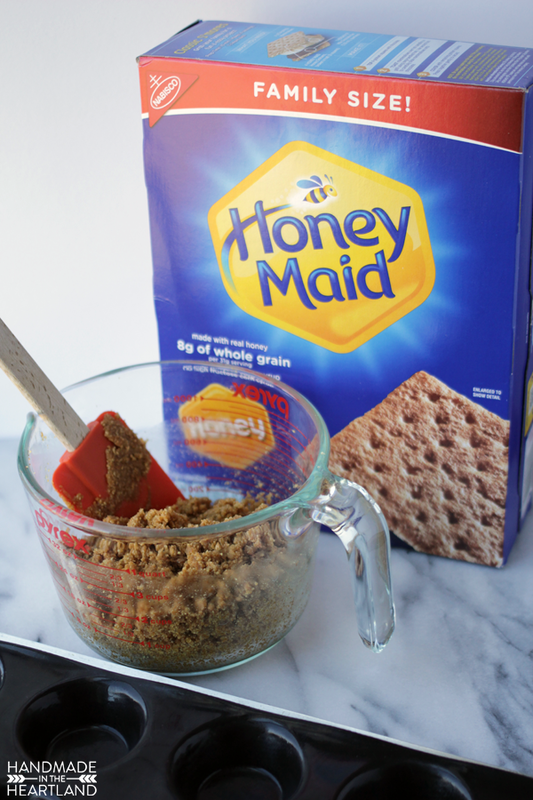 The Honey Maid graham cracker crust made it more of a cookie taste than just a candy which I totally loved. I used my favorite Demarle at Home medium tartlet mold that always gets perfect results. 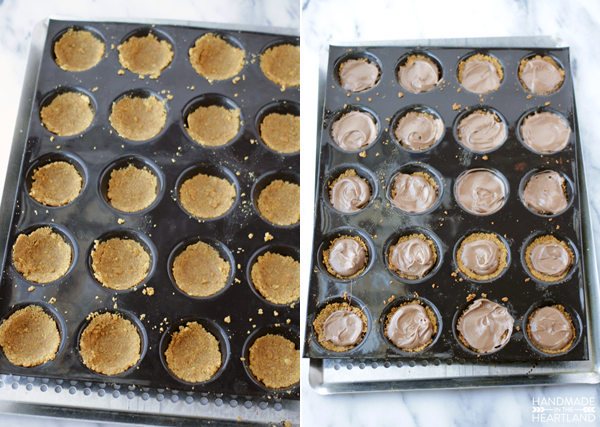 The first step is to make the graham cracker crust and then press a spoonful in to each well of the tartlet mold. After baking and letting them cool a few minutes you pour some melted chocolate on top of the crust. Then you put it in the fridge to harden. The first layer of chocolate I did milk chocolate and then the top I did with dark chocolate. I find that melting chocolate is really easy in the microwave. I use a glass bowl and melt a 12 oz bag of chocolate chips first for 40 seconds, take it out and stir then put it back in for another 30 seconds. After the second round of pulling it out it should be pretty soft and creamy when you stir it, sometimes I’ll put it back in for another 15 seconds or so but thats all it takes! I love using an offset spatula for recipes like this, I plopped on spoonfuls of Skippy crunchy peanut butter and then smoothed them out with the spatula. After that I poured melted dark chocolate over each one. After that you just pop them in the fridge and wait for everything to cool and harden up. 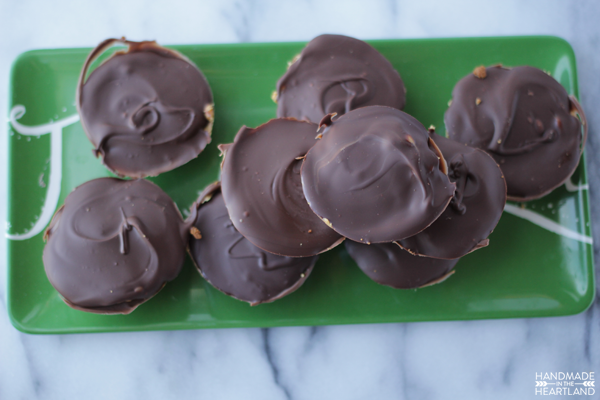 These Peanut butter cups are perfect for holiday baking. 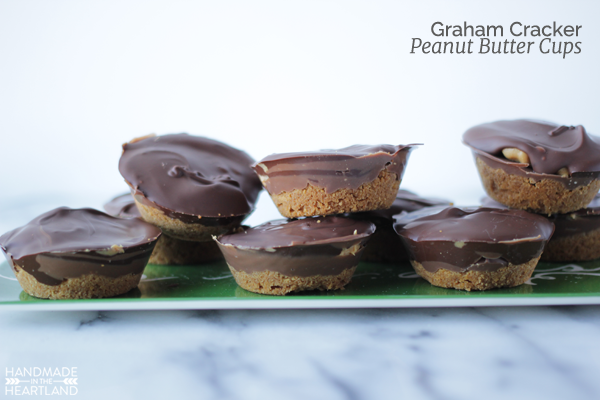 Chocolate Peanut butter and graham crackers make these cups perfect for holiday gift giving. 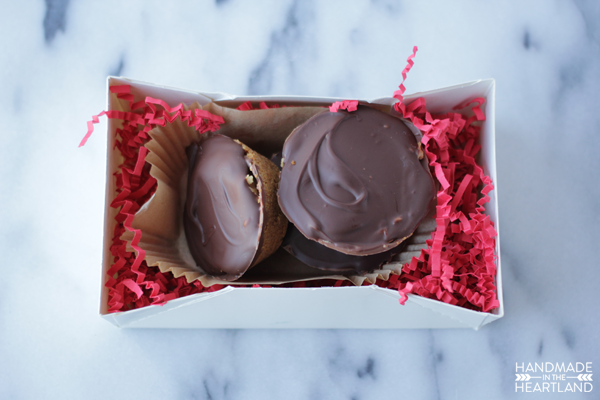 These little graham cracker peanut butter cups are perfect for holiday baking. To make the crust mix the melted butter and graham cracker crumbs together until combined. Take a spoonful and place in each tartlet well and press the crumbs into it with your fingers. Bake at 350 for 6-7 minutes , they will be darker brown and you should be able to smell them. 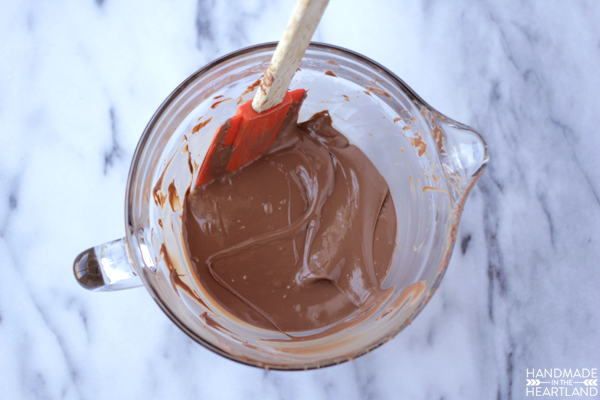 Melt your milk chocolate chips in the microwave in 30 second increments until nice and creamy. 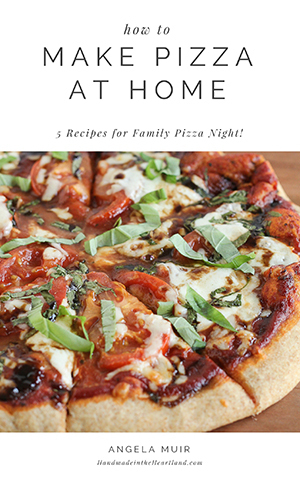 Pour 1/2 a tablespoon into each crust. You might want to take a spatula and spread the chocolate around so its not in a blob, but more spread evening across the crust. Put in the fridge to harden for 10-15 minutes. Next place about a 1/2 tablespoon of peanut butter onto your cooled chocolate later. Spread the peanut butter evenly so that its not taller in one spot. 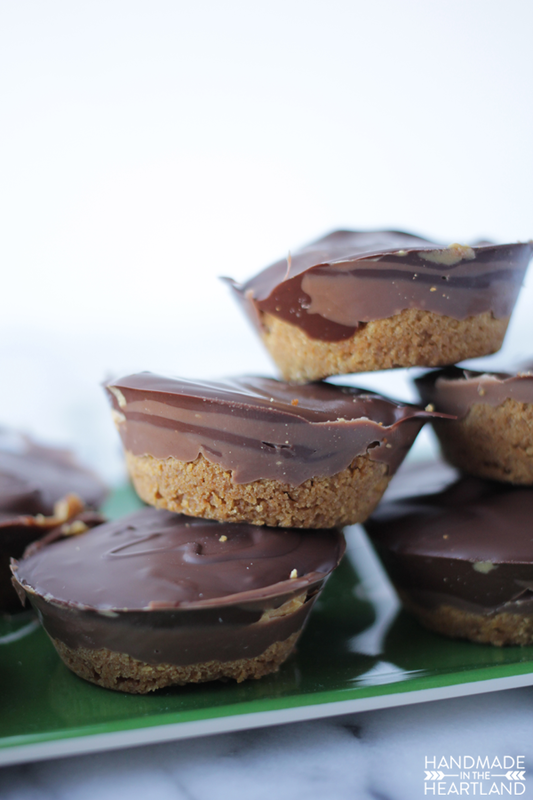 Melt your dark chocolate chips, then pour enough chocolate over each tartlet so that the peanut butter is covered. Place back in the fridge to cool and harden. When they are cooled (about 25 minutes) pop them out of the mold and enjoy! 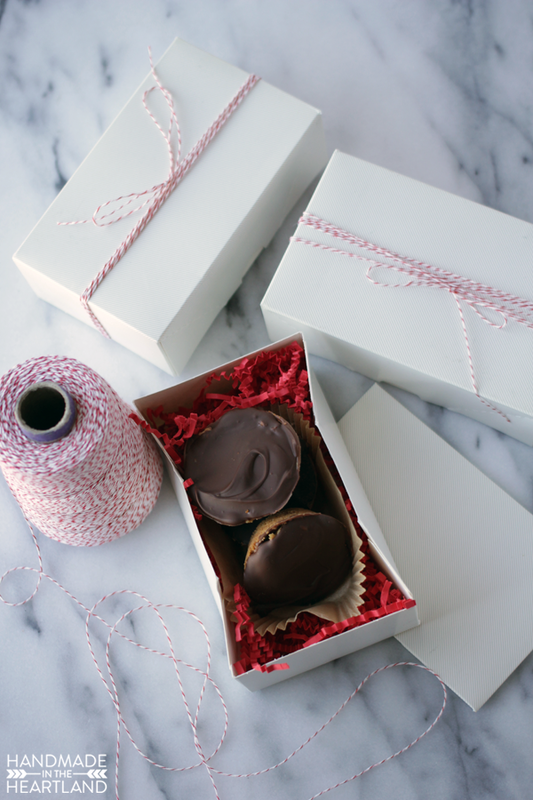 I love how freaking cute they turned out to be, Seriously perfect in a cute little gift box wrapped with bakers twine. Great neighbor gift, done! Will you be baking for friends and neighbors this year? What will you be making? I’d love to hear in the comments! 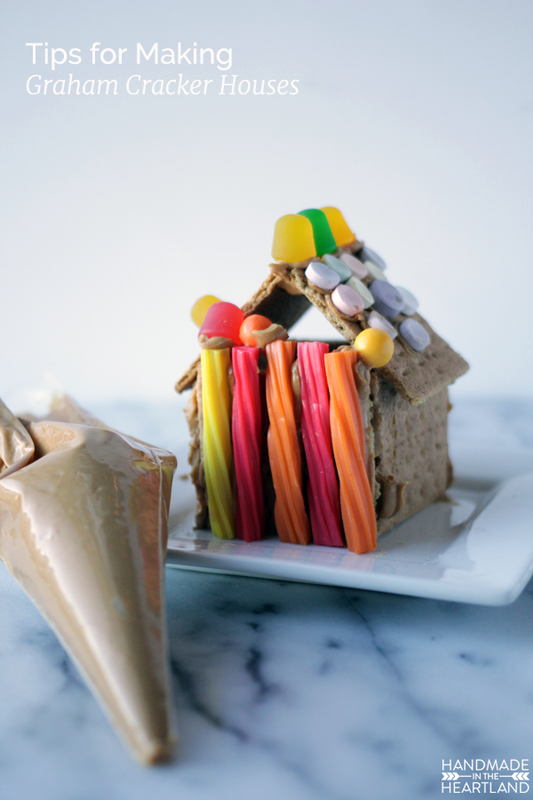 We also used our skippy peanut butter (creamy this time) and Honey Maid graham crackers to make some adorable graham cracker houses. I’ve got a few tips for you if this is on your holiday to do list with the kiddos. Also another note, although Honey Maid graham crackers are sponsoring this post I totally believe what I’m about to tell you, as with anything else I write on my blog, Honey Maid are the best graham crackers to build houses with. Trust me, I have bought my fair share of store brand graham crackers and they always crumble and fall apart- so stick with Honey Maid! 3. Save your Halloween candy and use it! 4. Use peanut butter as “glue” and put it in a pastry bag- makes building so much easier. 5. Don’t over think it, or worry if its not picture perfect, just enjoy doing it with your kids.